This is an officially sanctioned USPSA indoor pistol match – We run 4 stages with paper and steel targets on the First and Third Thursdays of each month. 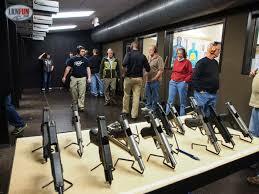 On the first Thursday we also run a classifier for USPSA Members. If you do not register and get approved on Practiscore you may not be eligible to shoot the match. Match fee is $25. Prepayment service is available online but you MUST register on Practiscore to be eligible to shoot. Competition is limited to 26 shooters. If you are new to USPSA pistol shooting then please come along. We are new competitor friendly and the link below will help you if you are new to this sport.